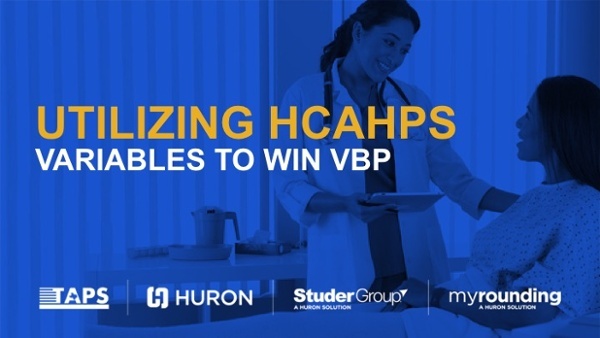 HCAHPS are an important part of VBP, but the process for calculating VBP is complicated if not indecipherable. This can make it difficult to understand how efforts to improve HCAHPS scores actually affect VBP. In this webinar we’ll use an analogy with the grading scheme from High School or College to help you understand key features of the VBP calculation. In the second half of this webinar we’ll review the current state of improvement efforts and several, increasingly effective strategies for improving your HCAHPS performance. Steve has been consulting with health systems, hospitals, and physician’s groups for almost 20 years. Steve’s expertise includes leveraging outcomes to drive patient volume, perfect culture and process to improve patient experience, and engage patient populations pre-, point-, and post-care. Steve’s professional and graduate research work has prepared him to be a thought leader in the healthcare technology space.